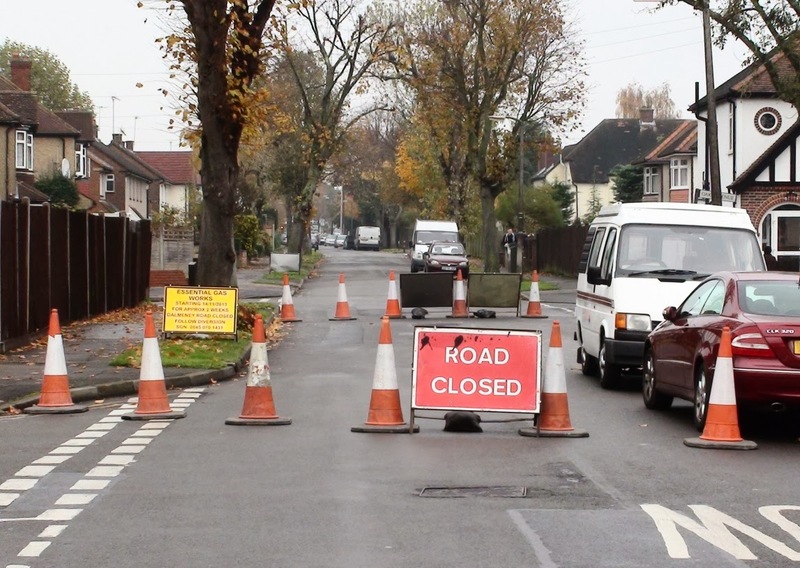 Last week I reported that Dalmeny Road would be closed from Thursday (14th November) for two weeks - at least that's what the signs all up around the place said. Thursday came and went and apparently the road was closed for part of the morning but was all clear again by the afternoon. You can read the riveting account here. 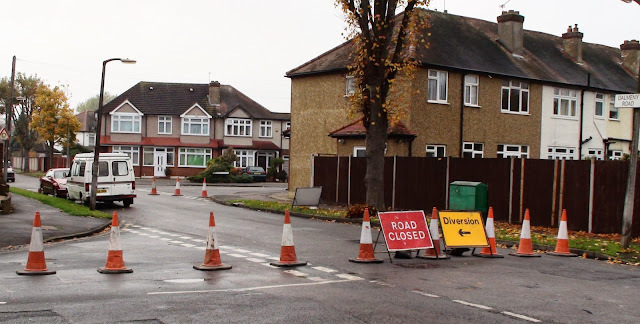 However this morning Dalmeny Road was indeed closed just in the short gap between Oaks Avenue and Braemar Road, but no work was being done. I spoke to Sean Jordan, the chap in charge and regular provider of clarification on all things gas pipe replacement. He told me that they would be digging a large hole there this afternoon and that if he had anything to do with it, it should all be finished and retarmaced by the end of the week.